Clear and to the point-you're proud to be a Navy man or woman! 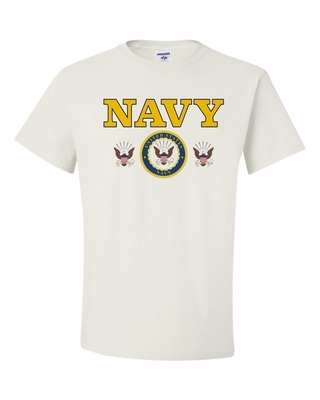 Wear our NAVY-United States Navy T-shirt or sweatshirt everywhere. 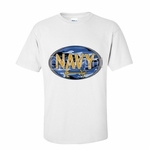 Add in a NAVY-United States Navy coffee mug-it makes a wonderful gift. Remember� you found the NAVY-United States Navy Shirts at TShirtHub.com, where high quality came at a low price.